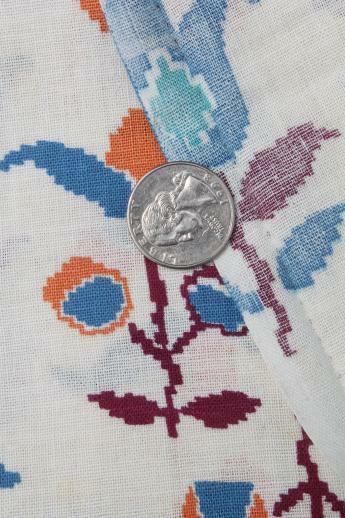 folk style flowers print cotton feed sacks, authentic vintage fabric for quilting etc. 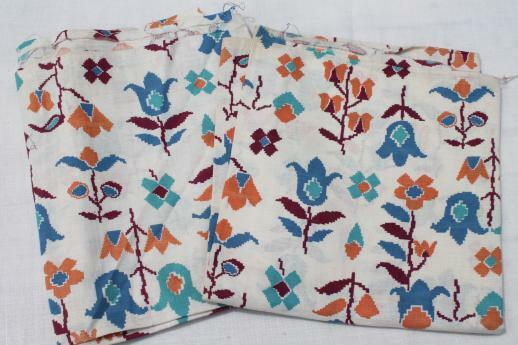 Authentic vintage cotton feed sack fabric, TWO full sacks opened flat, fabric size of each about 36" x 44". These have some soil and a few spots which should wash out fairly easily. 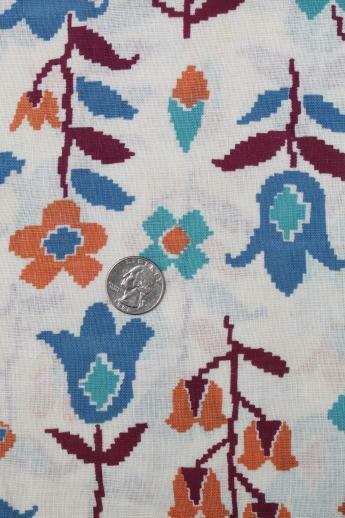 Lovely old fabric to use for kitchen aprons, quilting, cute home decor with a retro look, or even clothes, just like they used to!